Since its opening, Dewey Chrysler Dodge Jeep Ram has worked hard to become central Iowa’s #1 choice for superior repair and maintenance for all makes and models of vehicles. Our skilled auto technicians have the expertise and experience to get your car, truck, or SUV into top condition whether it needs an oil change, tires, fluid change, alignment, tune-up, or repair. When it comes to car loans and leases in the Ankeny area, you simply will not find lower auto financing rates anywhere else. Our experienced Dewey Chrysler Dodge Jeep Ram auto loan staff is waiting to approve your next auto loan today. If you need a car loan for a new Chrysler, Jeep, Dodge or used car, you have come to the right place. 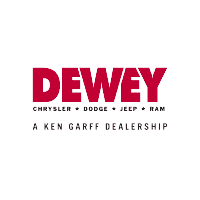 Dewey Chrysler Dodge Jeep Ram is located at 3175 SE Delaware Ave., Ankeny, IA 50021. You can call our dealership’s Sales Department at (855) 367-0915, Service Department at (855) 367-0915, or our Parts Department at (855) 367-0915. 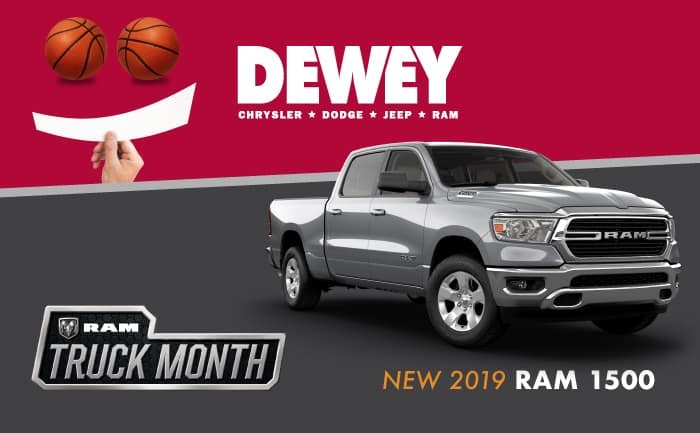 Although Dewey Chrysler Dodge Jeep Ram near Des Moines, Iowa is not open 24 hours a day, 7 days a week – our online inventory is always open. On our dealer’s website, you can examine specs and view high-quality photos of the new Chrysler, Dodge, Jeep and Ram models that you would like to purchase or lease. You can also search our dealership’s entire inventory of new and used vehicles, get a value for your trade-in and learn more about our staff to familiarize yourself with our employees who are committed to making your experience to Dewey Chrysler Dodge Jeep Ram a great experience every time. We offer a full lineup of new Chrysler, Dodge, Jeep and Ram models and a variety of pre-owned cars. Our friendly and professional auto dealer staff is dedicated and will work with you to put you in the driver’s seat of the vehicle you want at a price you’ll love. Feel free to browse our dealership’s online inventory of new vehicles, and request more information about our vehicles from one of our expert sales professionals, or set up a test drive with a sales associate. As a leading Chrysler, Dodge, Jeep and Ram dealer near Des Moines, our used car dealership also has a wide variety of pre-owned cars, trucks & SUVs for you to choose from. Each used vehicle has undergone a rigorous inspection to ensure the highest quality used vehicles in Iowa. Stop by Dewey Chrysler Dodge Jeep Ram or browse our online inventory of used vehicles to find the used car, truck or SUV that is right for you. Our used car dealership offers used cars, trucks & SUVs for every need and budget, and our professional staff will always work with you to get you in the vehicle you want for an affordable price. If you need help securing financing for your new car loan, our finance department is ready to help you out! Our finance team has experience with financing customers with great credit, bad credit, and even no credit, so they will do their best for you. If you have concerns about your credit situation, please fill out our secure online application and someone from our team will reach out to you! Our service department and parts department have the training and experience to help keep your car, SUV, or truck in top shape. Whether your vehicle needs some regular maintenance like an oil change or a tire rotation or your vehicle needs some serious fixing, our technicians will give your vehicle the love and attention it needs! You can call our service department to schedule an appointment or you can use our online scheduler. When you find a new car, truck, SUV, crossover, or minivan that you want to check out, schedule your test drive online or come to our dealership. We’re located in Ankeny, so we’re just a quick drive from Des Moines, Elkhart, Altoona, and Bondurant!